Anything else you'd like to add: He's a big goofy, sweet boy! As his human says above, Shrekkie really is a big, goofy, sweet boy. He couldn't have cared less about the photos, but boy did he want to interact - get pets, get treats, get more pets, squeek the dog toys, lick, play with his sister Pique who was also there. He kept us giggling for sure. 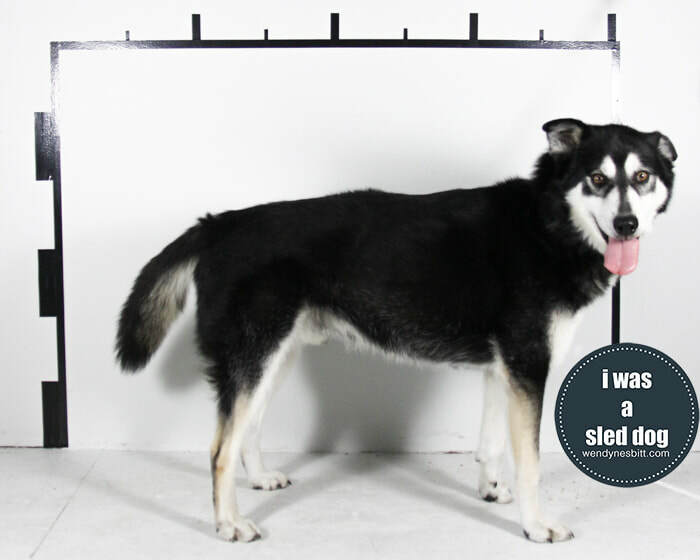 Shrekkie was one of the first sleddies I met in March 2012 at the Victoria SPCA. A TV crew was there to interview me for an advocacy book I had made and they were getting footage of me photographing sleddies Galute, Vixen and Luna (to come). Shrekkie was close by the whole time and kept walking in front of my lens and would come up and sniff and lick me as soon as I'd get down on my knees to photograph... it was a far cry from what some people had been saying about the sled dogs coming into care - there was nothing feral about him. 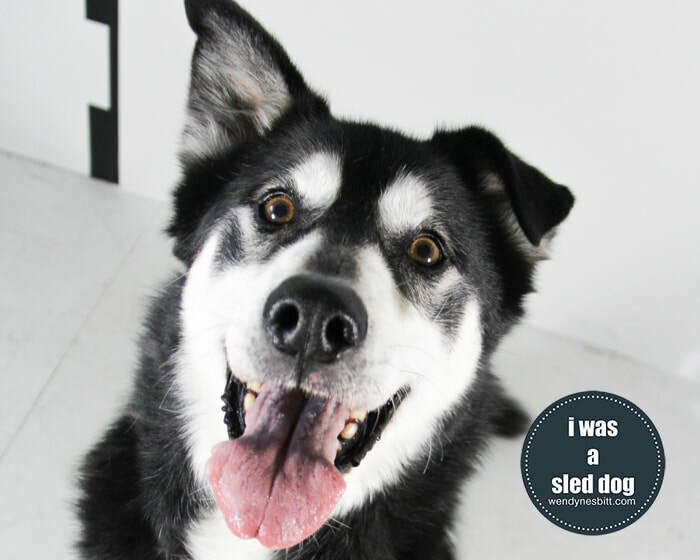 A number of retired sled dog adopters (along with a few sleddie super fans like me) keep in touch through a facebook group. It's such a cool thing to have been able to follow his life the past 6 years. ​Shrek is a survivor of the Whistler cull in 2010.